Stan Zbornak was Dorothy's husband of 38 years...before he left her for a stewardess half Dorothy's age and moved to Maui, Hawaii. Stan is seen frequent in episodes, and is most famously known for getting the door slammed in his face or being called a Yutz by Sophia. Stan also had a good side which was also displayed throughout the show's run. Stan is one of the most adored characters aside from the main 4. 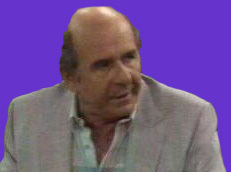 He is played by Herb Edelman.